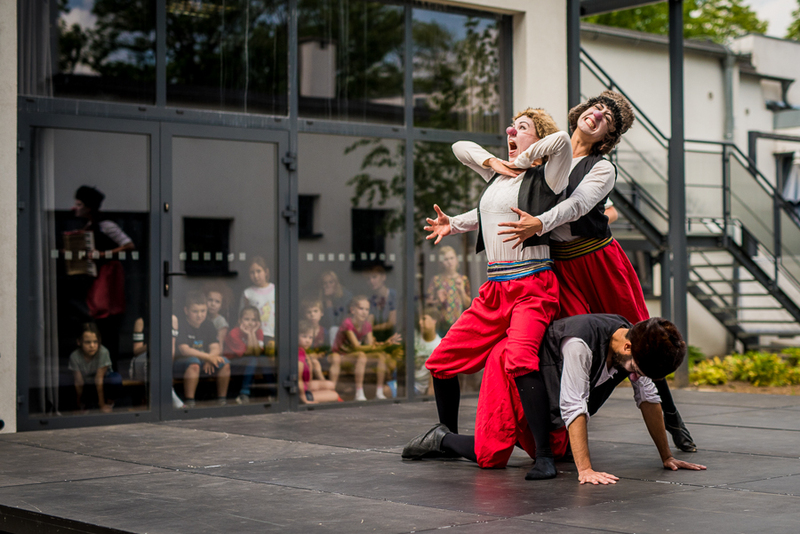 A touring company of storytellers has packed their bags and instruments on their donkey and journeyed all the way from Russia determent to present a piece by one of their national writers. 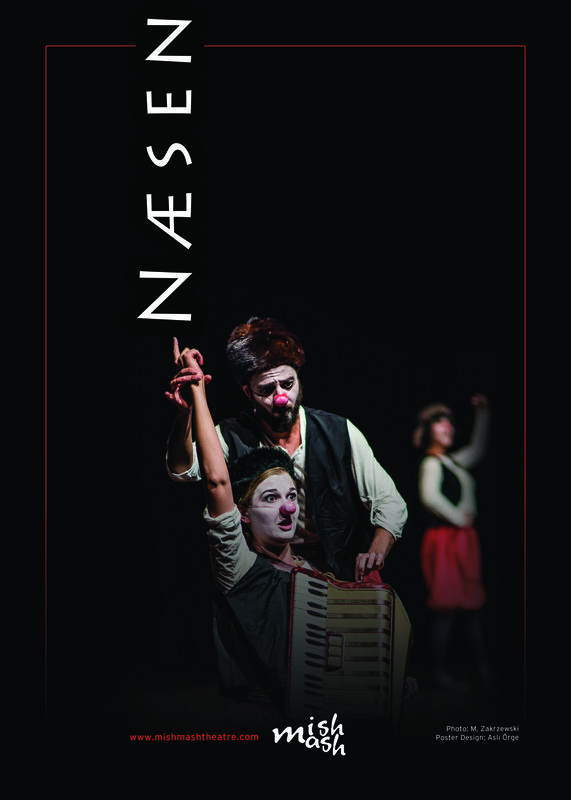 MishMash’ second play: ”The Nose”, (”Næsen” / “La Nariz”) is based on the famous short story of the Russian writer Nicolai Vasilievich Gogol. “The Nose” is a crazy and unforgettable story about the proud general Kovalev and his nose that one day decides to leave him and live a life of its own. Using music, acrobatics and character changes quick as a flash the actors show everything from furniture to people and animals on the busy streets of Saint Petersburg. Once again, no props or decors are needed. MishMash does it all! Technical requirements: 6x6x3 meters of empty space. Can be played indoor as well as outdoor.